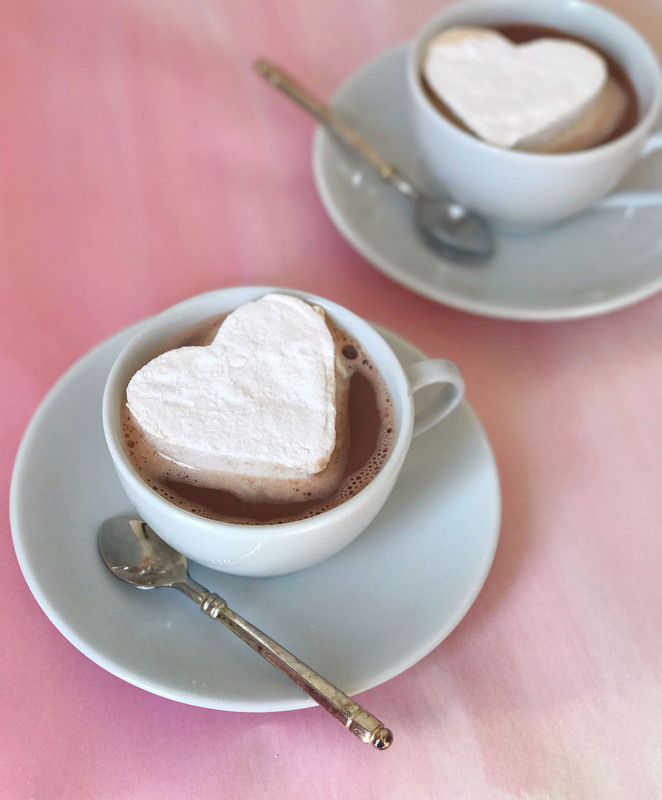 Valentine’s Day Mocha and Marshmallows. This post was created in partnership with Keurig Green Mountain®; opinions are my own. 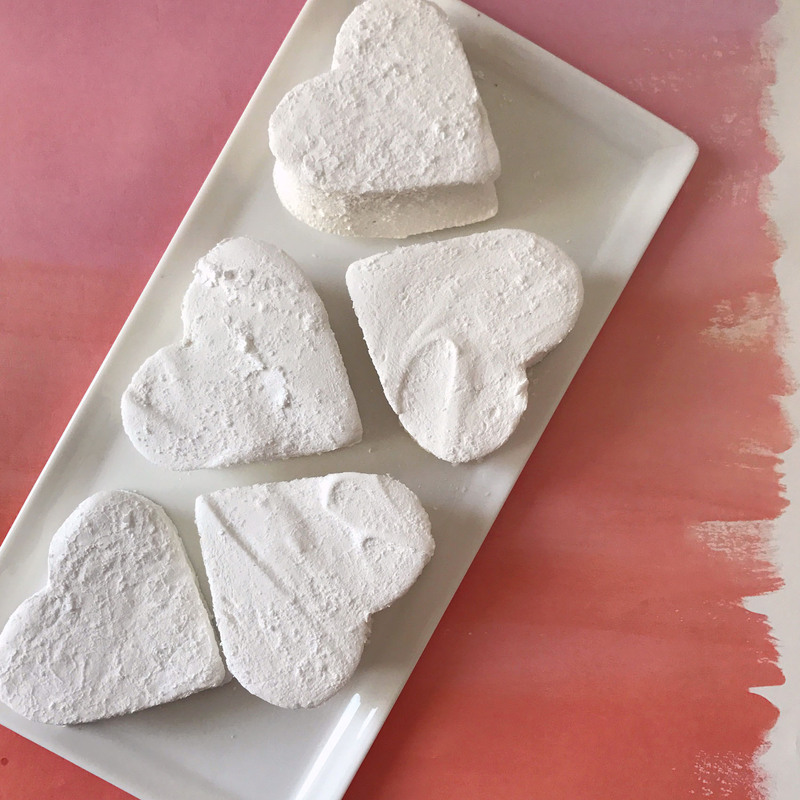 I’m a firm believer that the best gifts for Valentine’s Day (and in general, actually) come with a little DIY touch that lets the gift recipient know you put extra love and attention into assembling a special treat. Of course a little sweetness helps too, I’m all for indulging the chocolate and candy-fueled side of Valentine’s Day too. 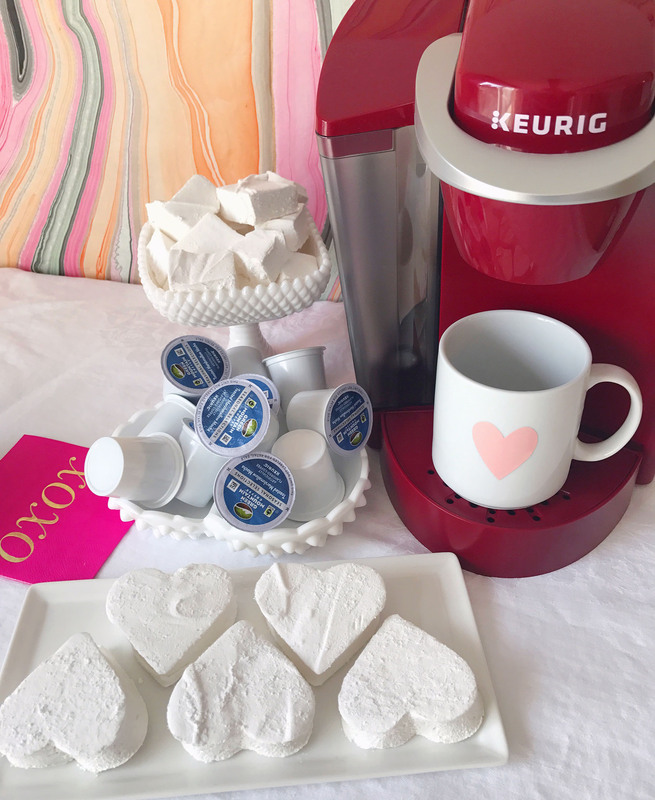 So this year I’m tackling some Valentine’s Day gifts that combine the homemade touch with sweet flavors by making homemade marshmallows for friends and family and packaging them up with my favorite Keurig® K-Cup® pods like Green Mountain Coffee® Toasted Marshmallow Mocha Coffee. 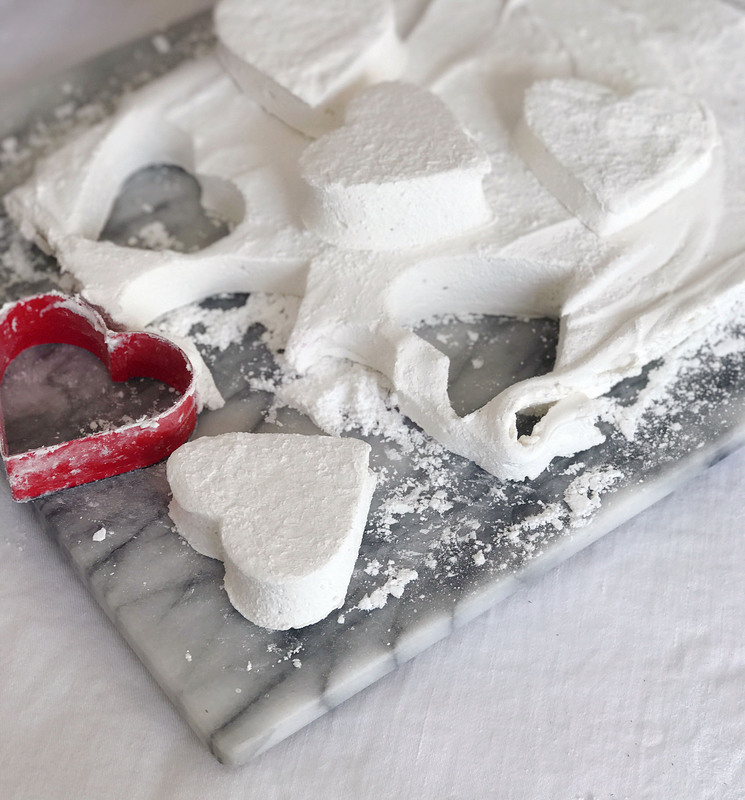 Making homemade marshmallows seems like a difficult project to tackle, but after doing lots of research online for recipes and methods, I discovered that they’re actually quite simple to make! The process is just two main steps, first is bringing sugar, water and corn syrup up to 240 degrees on the stove. The second step involves mixing the sugary syrup into dissolved gelatin for 15 minutes with a stand mixer. After that, you just have to spread them out in a confectioner’s sugar dusted pan and let them sit overnight. 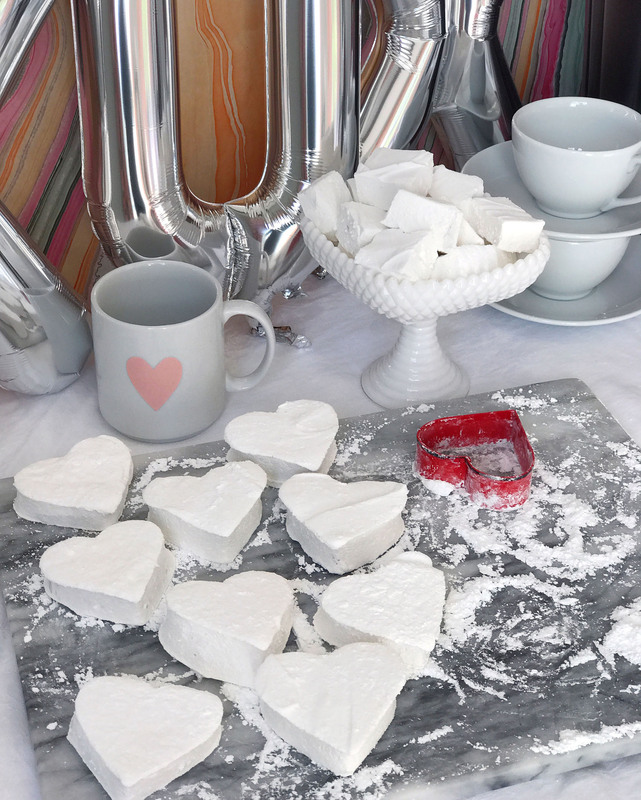 I punched some larger marshmallows out with a heart-shaped cookie cutter for easy shapes, and then used a pair of kitchen shears to cut up marshmallow cubes out of the leftover pieces. Once my marshmallows were complete, I used them in a few ways! 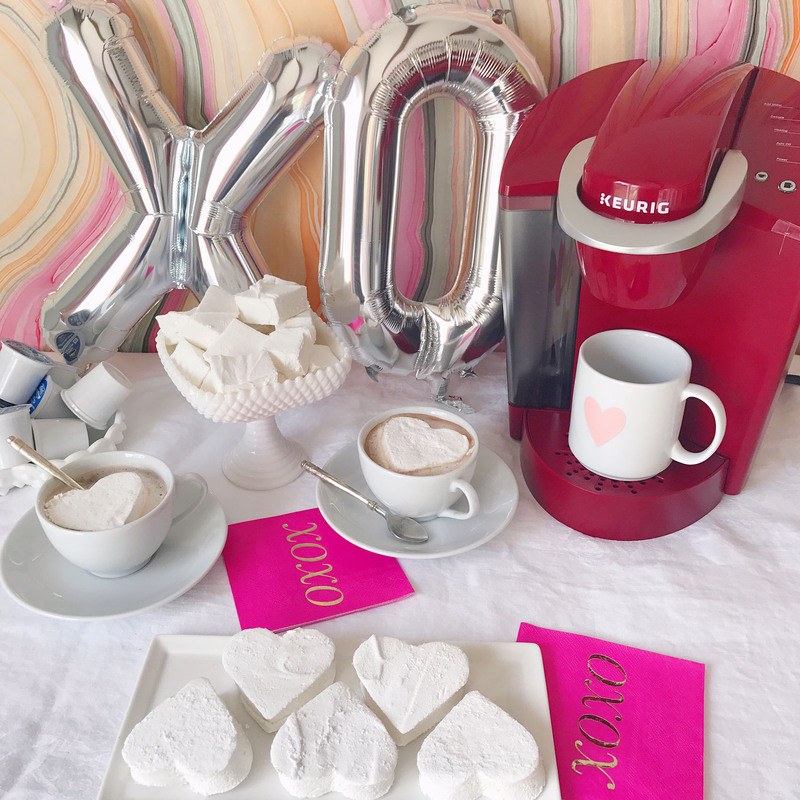 First was to set up a Valentine’s Day coffee bar with my new rhubarb-colored Keurig® K55 brewer and some festive heart-adorned coffee mugs. 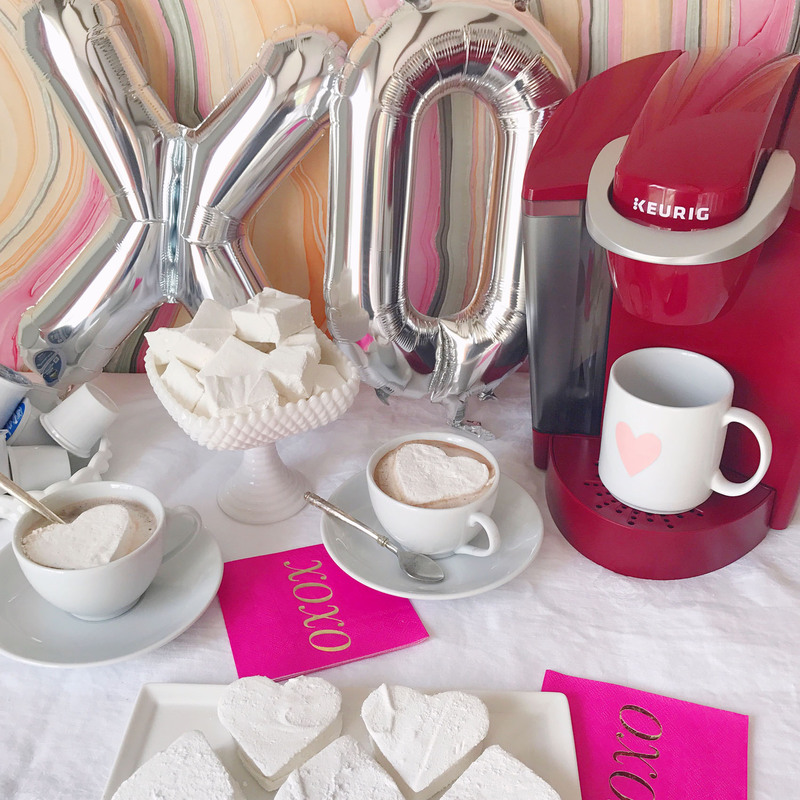 I decorated with a display of the marshmallows in fun containers, a tray of the mocha-inspired K-Cup® pods, and some over-sized XOXO mylar balloons and napkins. 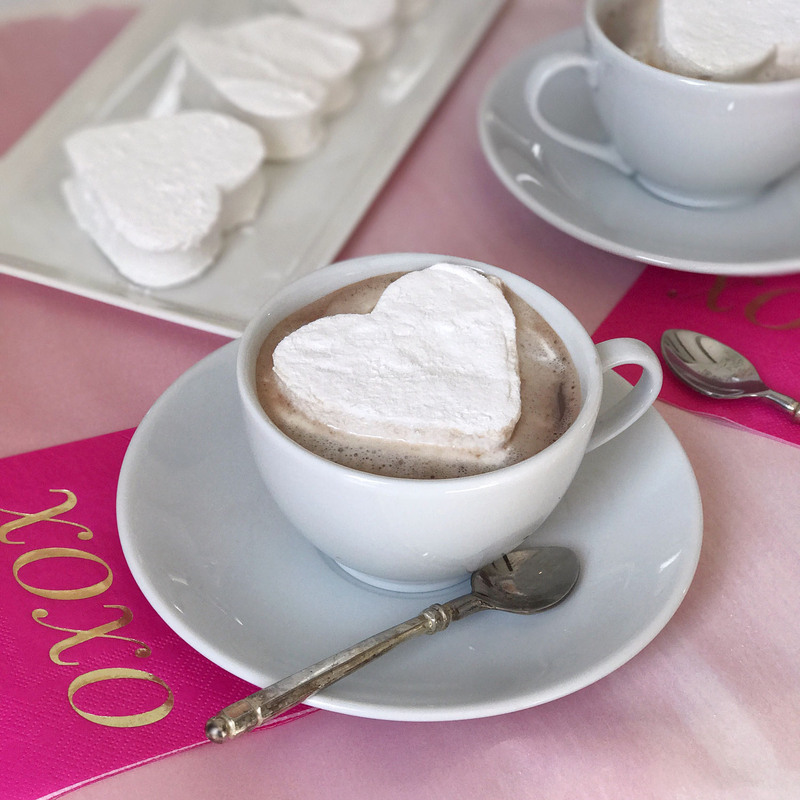 I love this chocolaty-inspired coffee bar idea for a Galentine’s Day brunch, or to surprise your love on Valentine’s Day morning. 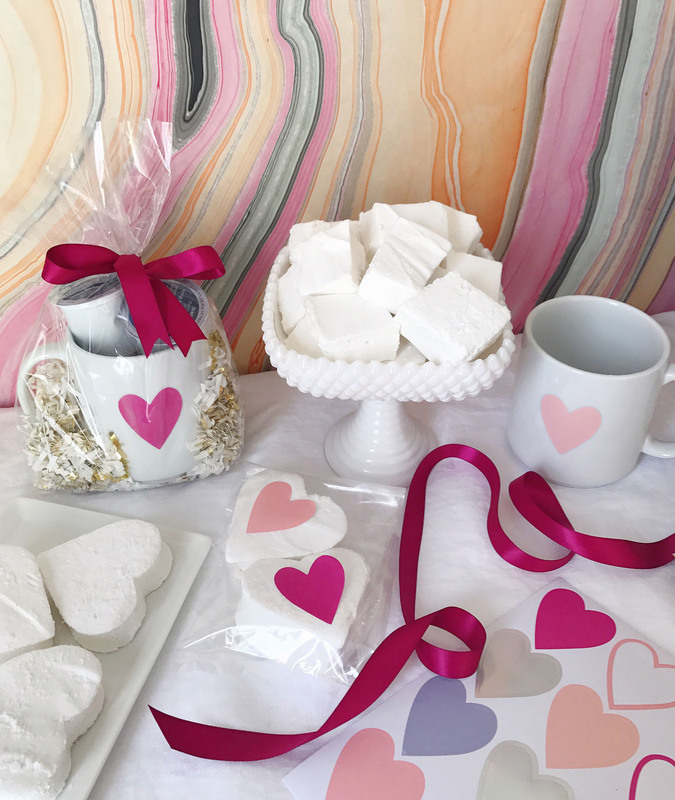 I also used the marshmallows to wrap up homemade gifts inside heart-adorned mugs filled with the same mocha coffee and hot cocoa flavors, and paired them with a few of the oversized heart marshmallows in clear cellophane bags. The mugs make a perfect Valentine’s Day gift; it’s like gifting your loved ones a mini-coffee date! Combine gelatin with ½ cup of cold water and set aside. Cook the granulated sugar, corn syrup, salt, and ½ cup water in a saucepan over medium heat until the sugar dissolves. Raise the heat to high and cook until the syrup reaches 240 degrees – watch carefully to monitor the temperature and avoid burning. Once the syrup mixture reaches temperature, remove from heat and slowly pour the sugar syrup over the dissolved gelatin in the bowl of a stand mixer on low; add in the vanilla extract. Turn the mixer up to high speed and whip until thick, for about 15 minutes. 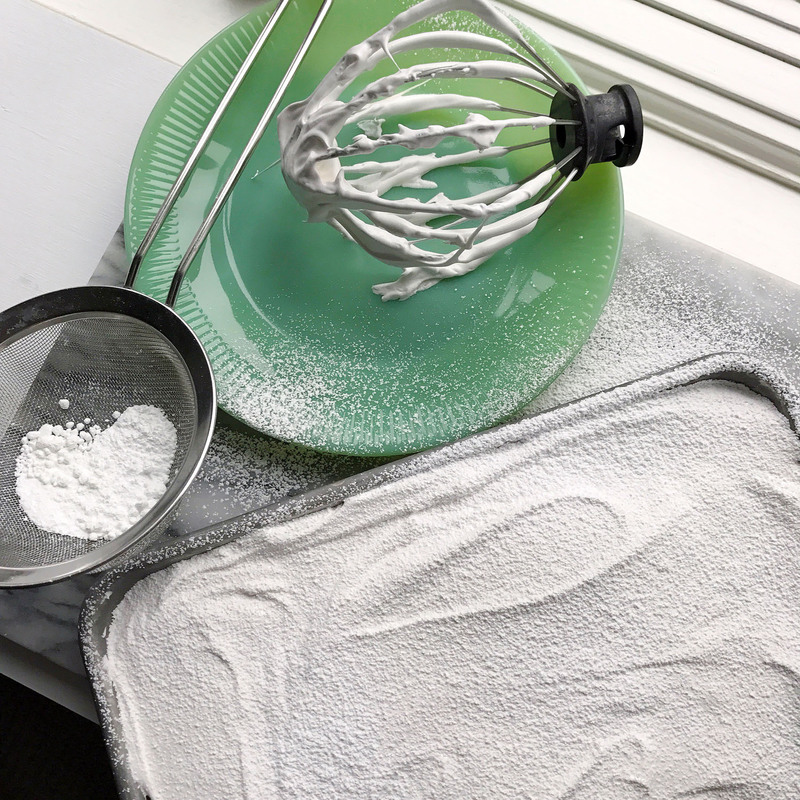 Once thickened, pour the mixture out into an 8x12 baking dish that has been generously dusted with confectioners' sugar. Add more confectioners' sugar over the smoothed out top, and set out to rest uncovered overnight. After resting the marshmallows over night, turn them out onto a board and cut them in squares or press with cookie cutters into shapes. Dust with more confectioners' sugar before packaging and serving (try it with Green Mountain Coffee® Toasted Marshmallow Mocha Coffee!). Chocolate Hazelnut Cannolis. Blood Orange Ginger Cocktails. One Response to "Valentine’s Day Mocha and Marshmallows."